was award 5/5 stars by Sound on Sound Magazine! guitar tracks that imitate real acoustic guitar playing! "A lively-sounding and very playable virtual bass guitar"
"Well suited to rock, metal and progressive genres, also adaptable to many other styles"
"High-quality, detailed and lively sound"
With SR5 Rock Bass, you can play ultra realistic bass guitar sound in real-time. You can access various playing techniques instantly without stopping your performance and create realistic bass guitar tracks very quickly and easily. - All the pick-up positions can be reproduced. Gibson® Les PaulTM Custom, is the most supported and loved electric guitar in the world. Over three months, we recorded the sounds of this excellent electric guitar played by a top guitarist using the latest Digidesign® ProToolsTM HD system. 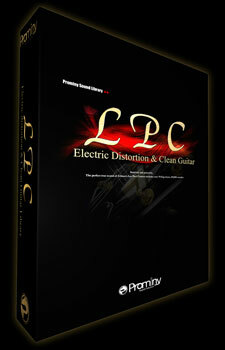 You can make very authentic guitar track using LPC's Real Time Legato Slide instruments. - Recorded at 24 bit ultra high resolution, up to 16 various velocity levels. - Natural resonance and reverberation during note-off periods featuring trigger release function. Up to 60 seconds of sustain duration. "I have been looking for a great, realistic bass sim which was good enough to hear solo. I stumbled across SR5 Rock Bass and was totally blown away with it. Hummingbird Acoustic Guitar seriously wipes the floor with all competition." "Prominy's virtual guitar instruments are second to none. The playability and the versatility of these boutique products make them a must for any composer or producer." "V-METAL sounds great! This is a very useful virtual instrument!" 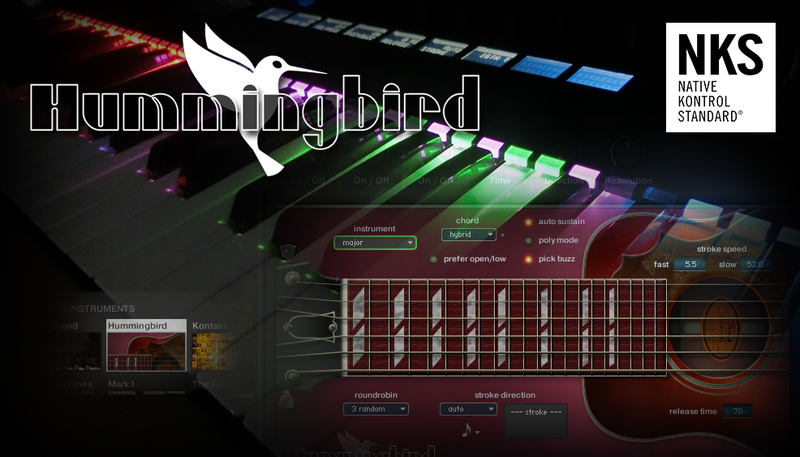 "The Hummingbird acoustic guitar is a great addition to the V-Metal electric guitar. I find this instrument extremely good!"